BILLY-BOY - ID 14366 - DSH - MALE - DOB 09/07/2015 Billy-Boy and his housemate Louie ID 14467 were surrendered to us but Billy-Boy has not looked back. He is so very affectionate and loves his food and lots of cuddles and he will reward you with a loud purr and lots of head bumps. 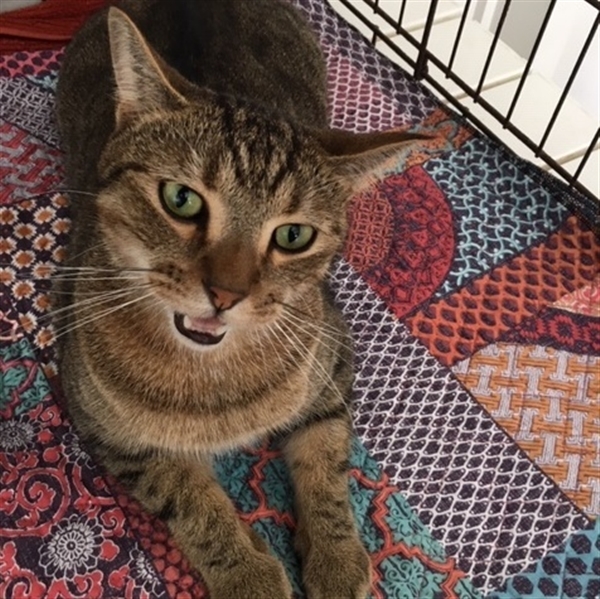 A very striking brown tabby with long legs and lots to say. I think he would like a family so he can share the enormous amount of love he has to give. Please come soon and meet this gorgeous boy.